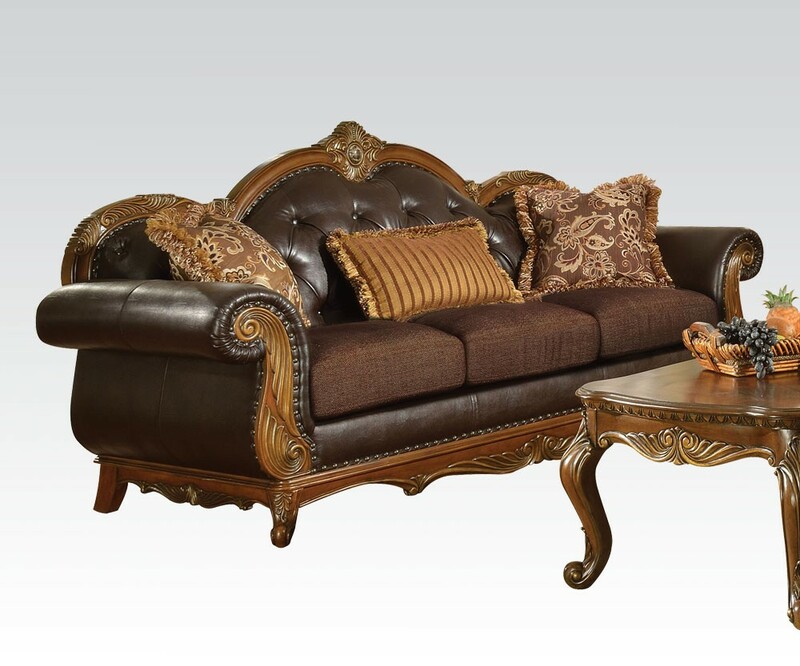 Dorothea living room set in leather and fabric with traditional style cherry wood trim and nail heads. 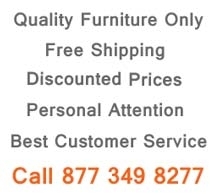 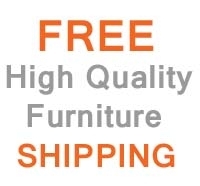 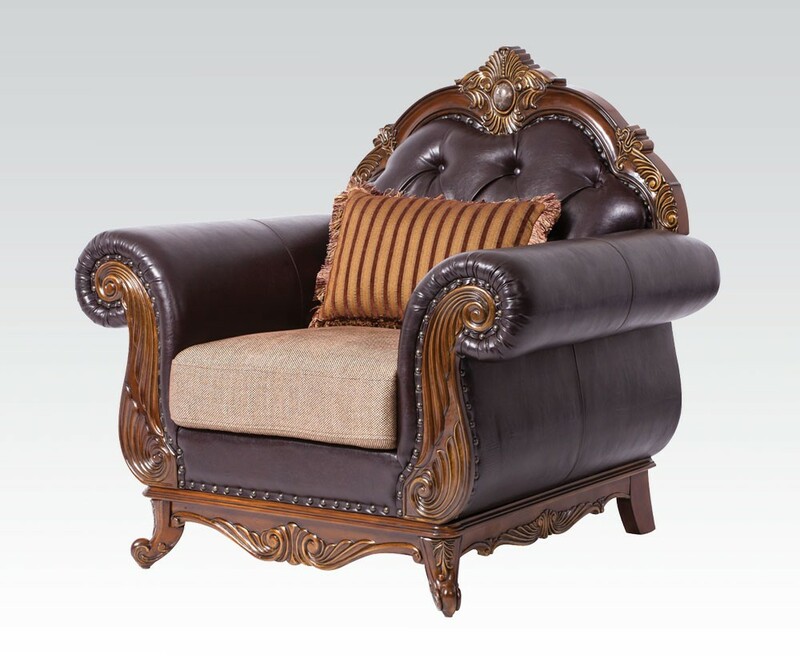 Luxurious crowned button tufted back in dark brown leather and brown fabric seats. 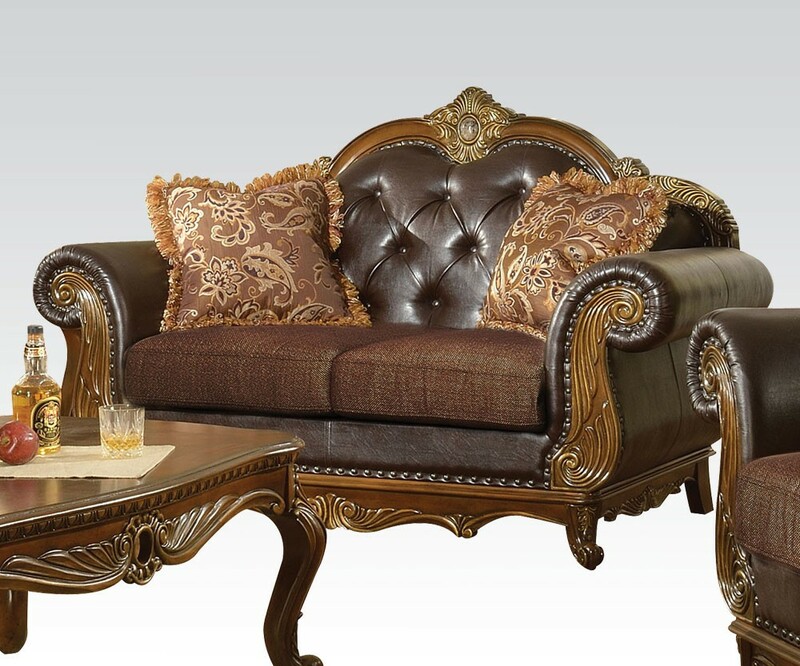 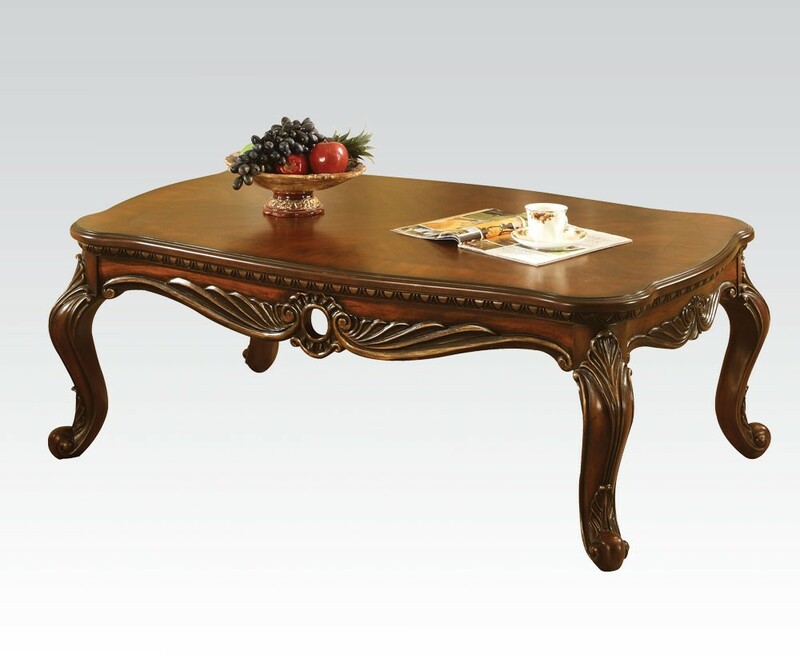 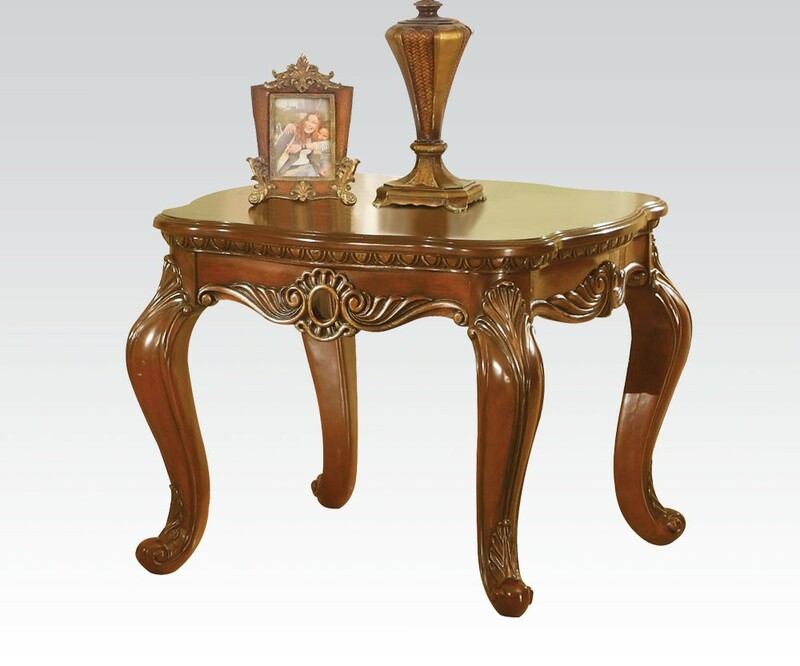 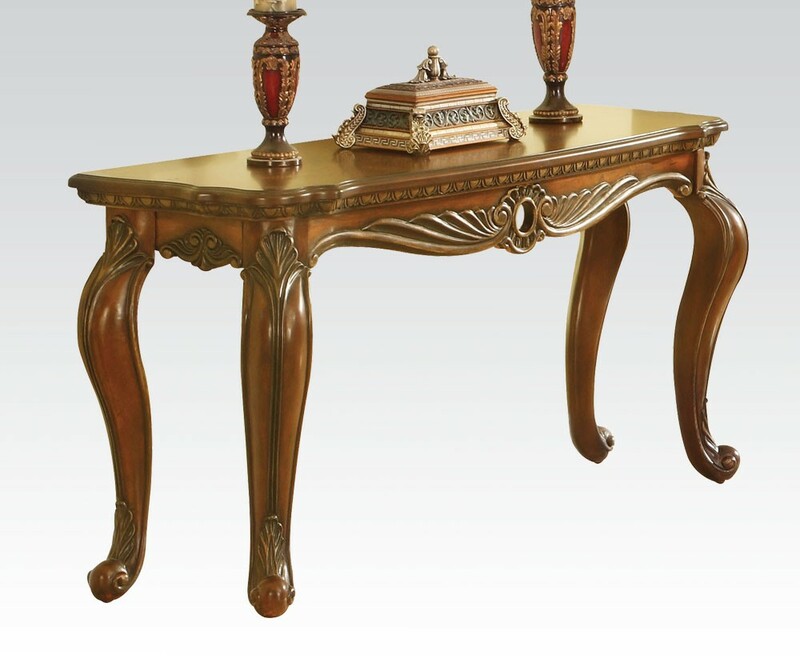 Large rolled arms accented by nail heads with cherry wood frame and legs complete this rich design.